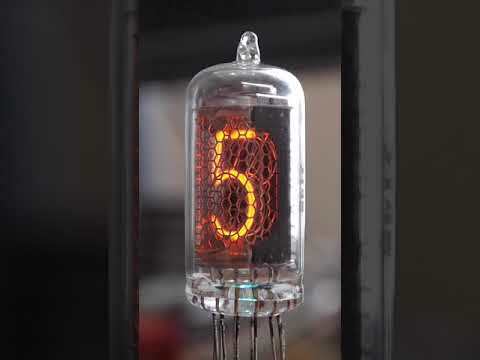 The Hivac XN12 numicator is a medium-sized nixie tube. 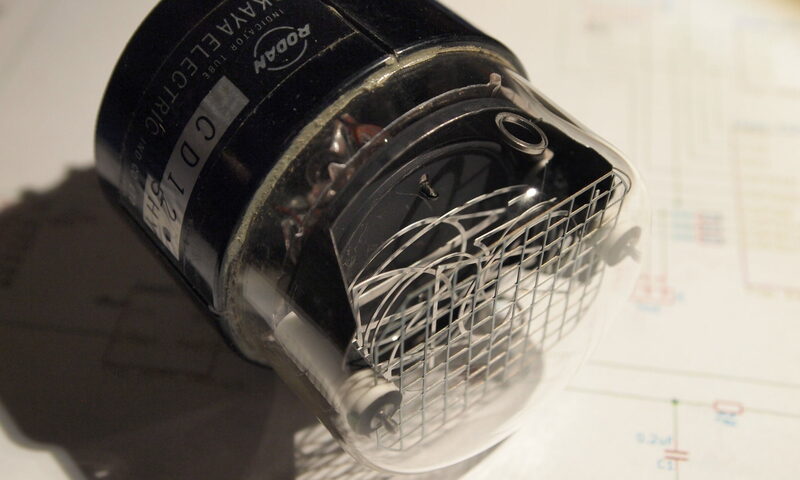 It is typical of Hivac tubes in that it has a gold-colored anode. No one seems to know why they have this color, but to me it looks like a chromate conversion coating.